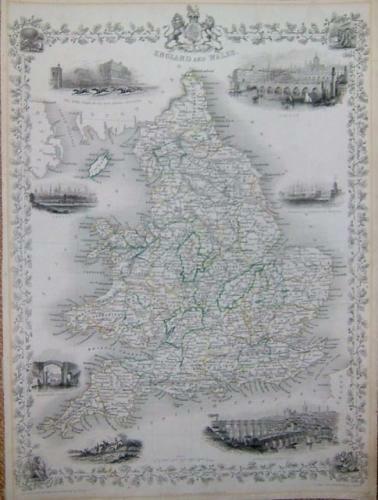 Title: "England and Wales". Drawn and engraved by J. Rapkin. Published by John Tallis & Company. London: 1851.